I'll bet that anybody regardless of gender or age，Everyone is hoping have perfect hair,So, may be you want to know how in the world you can have a relaxer yet still keep your hair healthy?This is a very common problem.Not only you have questions about it,So as a result of this,I am here to tell you from experience that it is definitely possible. As a professional hairstylist and just a black woman in general with relaxed hair, I can say that even you do not have to be natural to have healthy hair. I have done many things over the years that have damaged my hair so I want to share with you what not to do to your relaxed hair in order to keep it healthy AND help it grow. 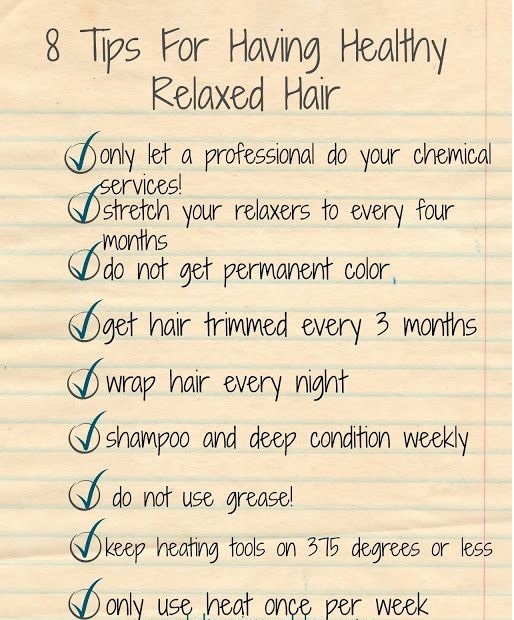 Here is your checklist for eight tips for having healthy relaxed hair.